Yesterday, January 1, 2015, was the kickoff for the new company, Kvarkenhamnar AB – a joint company for the ports of Umeå and Vaasa. The company will be marketed under the name, Kvarken Ports Ltd. The expanded joint operations will contribute to enhancing the efficiency and strengthening the business development of the ports and strengthen the transport routes in the region. “I am looking forward to starting Kvarken Ports,” says Matti Esko, President of the company. “We will be embarking on a whole new era in logistics cooperation in the Kvarken region by offering a joint venture that will support the increasing cargo and passenger volumes in the Vaasa and Umeå region. 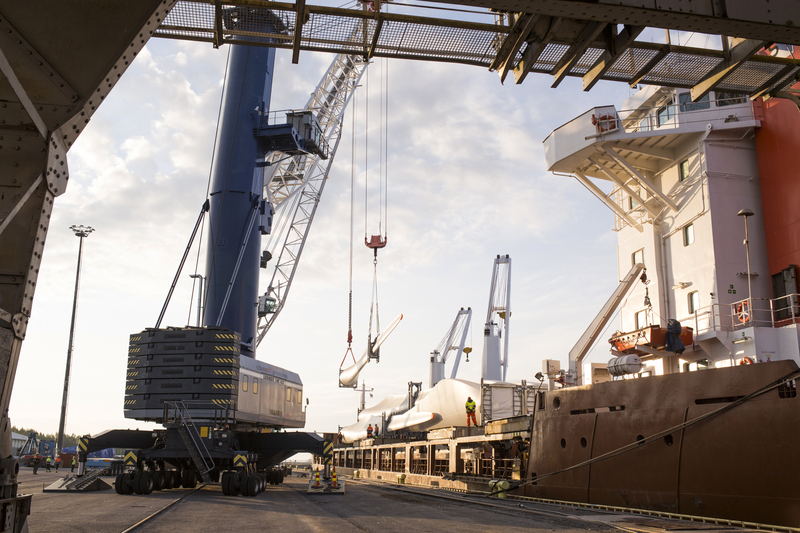 Our aim is to continuously develop the port facilities, improve our services and strengthen our cooperation with all logistics stakeholders in the Kvarken region,” Esko continues. Umeå and Vaasa have a longstanding tradition of collaboration across the Kvarken archipelago and these excellent relations resulted in the purchase of a new ferry in 2012, in the jointly owned company, NLC Ferry AB/Oy. The countries will now be further connected through the new Kvarken Ports. Esko is impressed at the eagerness and the major commitment in the collaborating parties and the speed at which both countries came to an agreement. Matti Esko has international experience from the private port and transport sectors and is joining us from Euroports Finland Oy. The Board of Directors also includes corporate leaders and experts with solid industry background. Lennart Petterson, former vice President of Malmö – Copenhagen Port, the first cross-country port company, is one of the Board members. Riitta Björkenheim, logistics expert from Vasek is another. Politicians include Joakim Strand, Chairman of Vaasa City Council and Hans Lindberg, Chairman of the Municipal Executive Board in Umeå (S), and many more. Kvarken Ports will be owned jointly by the city of Vaasa and Umeå Kommunföretag AB. The current port staff in Umeå and Vaasa Port, approximately 30 individuals, will be transferred to the new company. Umeå Hamn AB will remain, but will have a new role and will remain only as owner of the port’s permanent facilities, docks, railway tracks, etc. and will become a subsidiary to the municipal company INAB – Infrastruktur i Umeå AB after the end of the year. The city of Vaasa will own the facilities in Vaasa Port.